A first in France, natural repigmentation care. Effective hair products containing a minimum of 90% of natural ingredients. Looking to preserving your health and the environment. for your personal pleasure or as a gift. 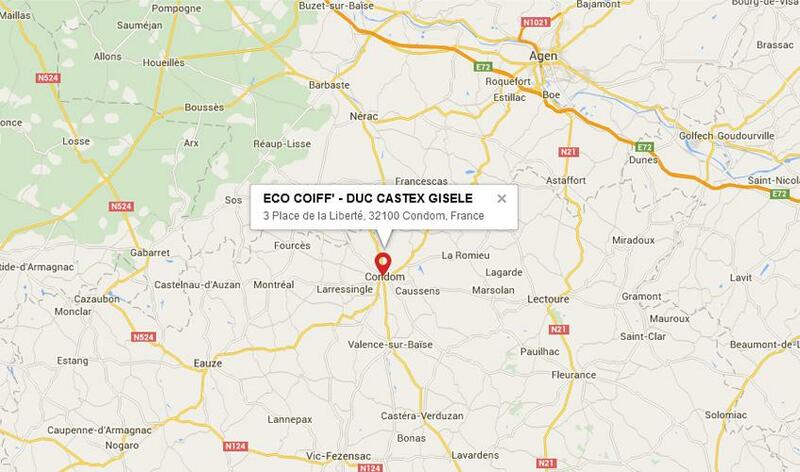 For more information, visit ECO COIFF' hair salon in Condom! From now on, Mrs Gisèle Castex will be pleased to guide you.